IN DATA DE 01.12. 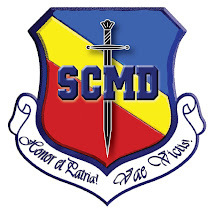 2014, CU OCAZIA ZILEI NATIONALE A ROMANIEI, SINDICATUL CADRELOR MILITARE DISPONIBILIZATE – FILIALA ORADEA VA INVITA SA LUATI PARTE LA MANIFESTARILE DESFASURATE LA STATUIA VOIEVODULUI MIHAI VITEAZUL DIN PIATA UNIRII , IN ORGANIZAREA PRIMARIEI SI GARNIZOANEI ORADEA. INCEPIND CU ORA 12.00 FASOLE CU CIOLAN SI CEAI CALD PRIN GRIJA POPOTEI DE GARNIZOANA.